Our product range includes a wide range of terminal block xy2500f-bv 5.08 mm, xy304-v - pcb mount terminal block, pcb mount terminal block - xy300v-a, pcb automobile connectors, plug in terminal block 5.08 mm male connectors and xy126v - pcb mount terminal block. 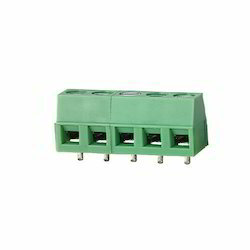 Having a rich industrial experience and expertise, we are engaged in offering a wide range of Plug In Terminal Block XY2500F-BV 5.08 mm Female ST. The bets quality of Plug In Terminal Block XY2500F-BV 5.08 MM Female ST is offered by us to customers in bulk. The offered Plug In Terminal Block XY2500F-BV 5.08 MM Female ST is easy to use. 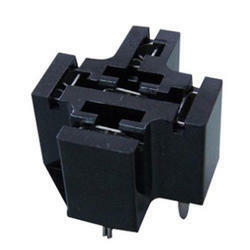 We are proudly presenting supreme-quality PCB Mount Terminal Block that are imported from reputed vendors and are in conformation with the international standards of quality, nonetheless we rigorously perform quality checks at our end. These are extensively used in various types of electrical devices in Control Panels, Power Controls, Instrumentations, Security Systems, Relay Modules and many more. Our range of Wire to Board Connectors and Relimate is imported from renowned manufacturers of the world. We are also capable to offer our entire range as per the requirements of our customers. In order to ensure quality, our quality analysts check our range of PCB Automobile Connectors and Relimate on international parameters. 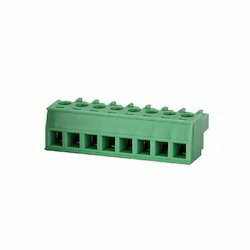 We are counted as a highly acclaimed company that offers a quality range of Plug In Terminal Block 5.08 MM Male Connectors. 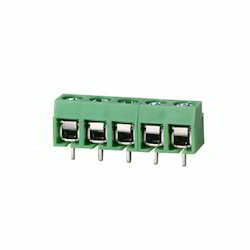 We provide this Plug In Terminal Block 5.08 MM Male Connectors to customers as per the requirements of the clients. 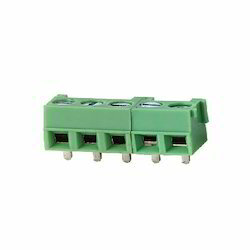 Plug In Terminal Block 5.08 MM Male Connectors are appreciated among the customers due to its supreme quality. 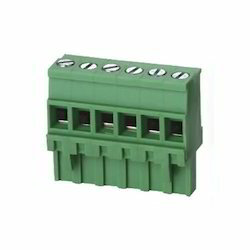 Looking for PCB Mount Terminal Blocks ?